Yes, add single chain timing set (+$79.99) No, thanks. INTENSE™ Cams are manufactured from new 8660 billet camshaft blanks by Cam Motion. These are the cams for those of you planning to run turbo setups on your 3800 Series II/III engines. The Stage 1X Turbocharged Cam is ideal for use with stock cylinder heads, however stronger springs are recommended for reliability. The powerband is strongest from 2,500 to 6,500 RPM. The Stage 2 Turbocharged Cam is right on the hairy edge of being safe to use with stock cylinder heads, and is ideal for use with modified heads and stronger valvesprings (see INTENSE™ Stage 3 CNC L67 Cylinder Heads). The powerband is strongest from 2,700 to 6,700 RPM. The Stage 3 Turbocharged Cam should NOT not be used with stock cylinder heads and/or stock valvesprings. It is engineered for use with highly modified cylinder heads and oversized valves, and is a perfect match to the INTENSE™ Stage 3 CNC L67 Cylinder Heads. The powerband is strong from 3,000 to 7,000 RPM. The Stage 4 Turbocharged Cam is the most agressive grind available with a strong powerband between 3,500 and 7,200 RPM and should be used with our INTENSE™ Stage 3 CNC L67 Cylinder Heads. With any of these choices, you will need to use a higher stall torque converter, such as our ATI 245 mm. Heavy Duty Torque Converter. -We recommend that a new timing chain and timing chain tensioner be installed in conjunction with any new 3800 cam. -We recommend CompCams "OE R Series" Hydraulic Roller Lifters, High Load Valvesprings, and Valvespring Retainers with any aftermarket camshaft. -We recommend INTENSE™ High-Performance Pushrods with any aftermarket camshaft. 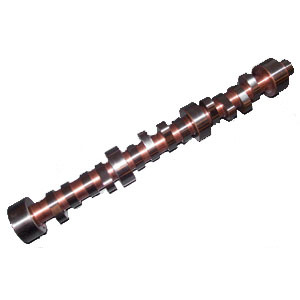 -INTENSE™ Camshafts are hydraulic rollers, so no break-in period is required. -While PCM changes are not required, we strongly recommend updating the transmission controller in the PCM for the updated power band. In addition, the INTENSE™ Stage 1X and 2 Turbocharged Cams may set an occasional S.E.S. light after extended idle periods, and the Stage 3 Turbo cam WILL set the S.E.S. light at idle. -Stage 1X Turbo Cam users will benefit from higher WOT shift points (6,200 to 6,500 RPM) and rev limiter settings (6,700 RPM). Stage 2 Turbo Cam users will benefit from higher WOT shift points (6,500 to 6,800 RPM) and rev limiter settings (7,000 RPM). Stage 3 users will benefit with even higher WOT shift points (6,700 to 7,000 RPM) and rev limiter settings (7,200 RPM). Stage 4 users will benefit from WOT shift points (6,800 to 7,100 RPM) and a rev limiter setting of (7,300 RPM). Write a Customer Review and share your thoughts with others. I have been running this cam for over 2 years. I have a HUGE turbo build and this cam makes amazing power at WOT also does just fine on the street.